We are looking forward to using these blueberries to make some delicious summer treats. Whilst blueberries are often not the fruit of choice amongst the younger members of our family, they are a super fruit and should be given their dues. Weight and Blood Sugar – Blueberries have a low glycemic index, which helps control your sugar levels and insulin. Help the Brain – Studies have shown that daily consumption of blueberries will help halt the start of or advancement of both Alzheimer’s and Parkinson’s. Boost your immunity – Of all fruits, blueberries have the highest volume of antioxidants to fight free radicals that lead to disease and aging in the body. 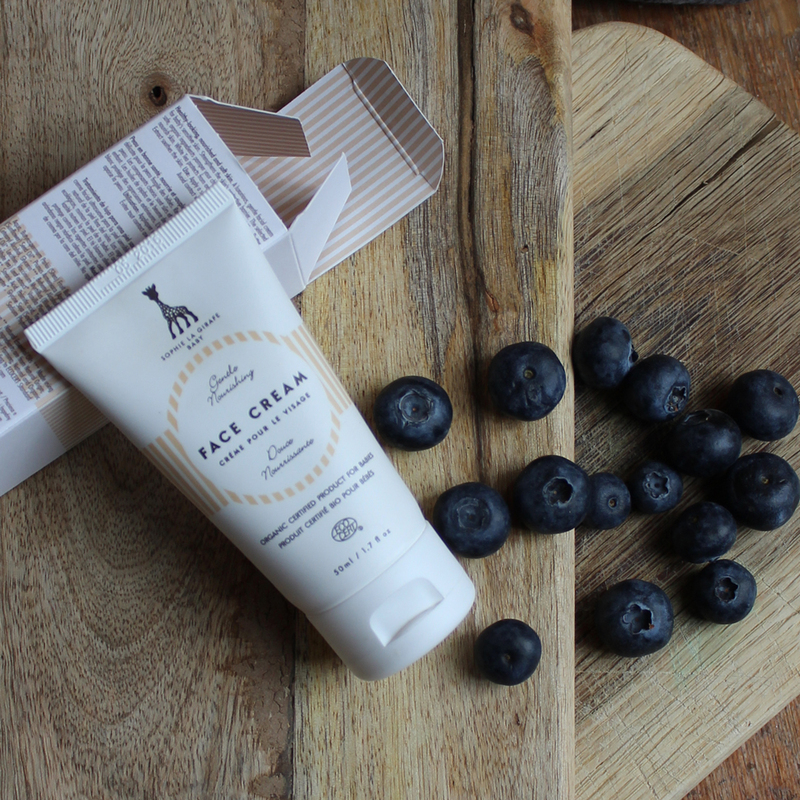 Sophie La Girafe cosmetics also share our interest in blueberries. Their face cream contains Nordic Blueberry Oil Extract, which from personal experience does a fantastic job of soothing delicate skin. Sophie La Girafe cosmetics use only organically sourced ingredients to provide a very ethical alternative to other skin care products.